CLICK HERE to search our new virtual frame gallery and try on your selection! Our certified on-site optometrists and opthamologists offer scheduled eye exams, cataract, and glaucoma screenings. Our opticians and frame stylists will guide you in selecting the right lenses for your vision and your lifestyle. We carry Crizal no-glare as well as a variety of transition lenses and digital progressive lenses. We’re also here to help you find the perfect frames to fit your style and your life. We offer great top brands including Coach, Dolce & Gabana, Vera Wang, Ray-Ban, and Juicy Couture. 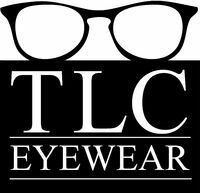 Just like our name suggests, TLC Eyewear takes pride in offering great customer service and complete satisfaction. We offer free adjustments and cleanings. Like us on Facebook for additional deals and specials! At TLC Eyewear, we are dedicated to providing high-quality optometry services in a comfortable environment.Call us at 508-565-3130 or schedule an appointment today online. Our one-on-one approach to optometry makes our doctors and the TLC Eyewear staff the eye and vision care providers of choice in the Canton and Brockton area. Our doctors offer the following services: complete eye exams, contact lens fittings, glasses, glaucoma testing, and pre- and post-operative care. For a complete list of services, visit our services page or call our Canton office at 781-821-0874, our Brockton Liberty St. office at 508-565-3130 or our Brockton Quincy St. location at 508-565-3252. At TLC Eyewear, we are dedicated to providing high-quality optometry services in a comfortable environment. Call us or schedule an appointment today online.